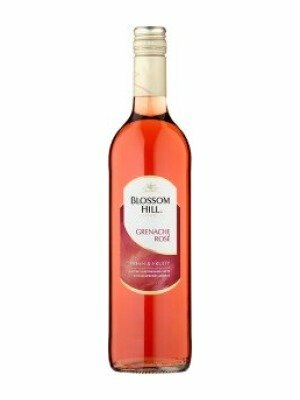 Blossom Hill Grenache Rosé is a popular American Rose Wine available from Tesco Groceries in 75cl to buy online. Visit Tesco Groceries for the best price for 75cl of Blossom Hill Grenache Rosé or compare prices on our other American Rose Wine products. This wonderfully crisp Grenache is a perfect all round Rosé with aromas of wild fruit combined with a superb palate as you would expect from the UK's Number One wine brand. From the hills of California this no nonsense label produces some of the best everyday wines. Where to buy Blossom Hill Grenache Rosé ? Blossom Hill Grenache Rosé Supermarkets & Stockists. You can buy Blossom Hill Grenache Rosé online in most retailers and find it in the American Rose Wine aisle in supermarkets but we found the best deals online for Blossom Hill Grenache Rosé in Tesco Groceries, Tesco Wine, and others. Compare the current price of Blossom Hill Grenache Rosé in 75cl size in the table of offers below. Simply click on the button to order Blossom Hill Grenache Rosé online now.